Studio Calico has done it again with expertly curated kits that are full of wintery holiday fun and hauntingly frightful delight! Bold patterned paper and cute stamp sets will keep you crafting for hours!! I have two sneaks to show you today! 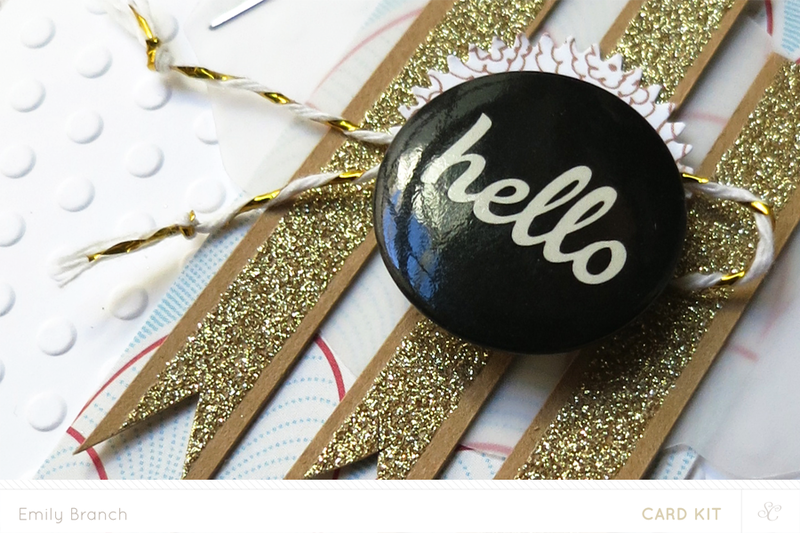 This card features fun glittery embellished banners and a black and white sentiment badge from the main kit, The Underground. 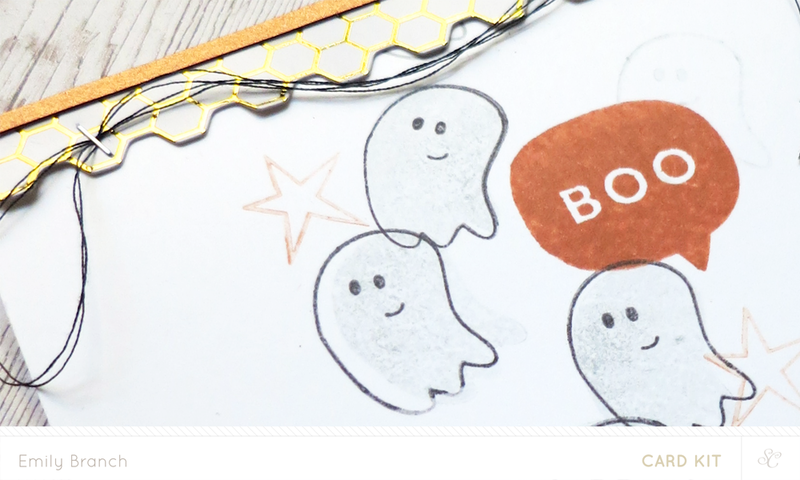 This card uses the delightfully ghoulish Halloween add on stamp set!! There is a great variety of images for carmakers and treat givers galore! Some happy ghosts float on by to say "boo!